A coroner has refused to hold an inquest into the death of a disabled man who had a fatal heart attack an hour after being told the Department for Work and Pensions (DWP) was threatening to stop his benefits. Alan McArdle, who had previously been homeless but was living in council accommodation in Slough, Berkshire, told the friend who had read the DWP letter to him: “They’ve sanctioned my money,” before he collapsed. 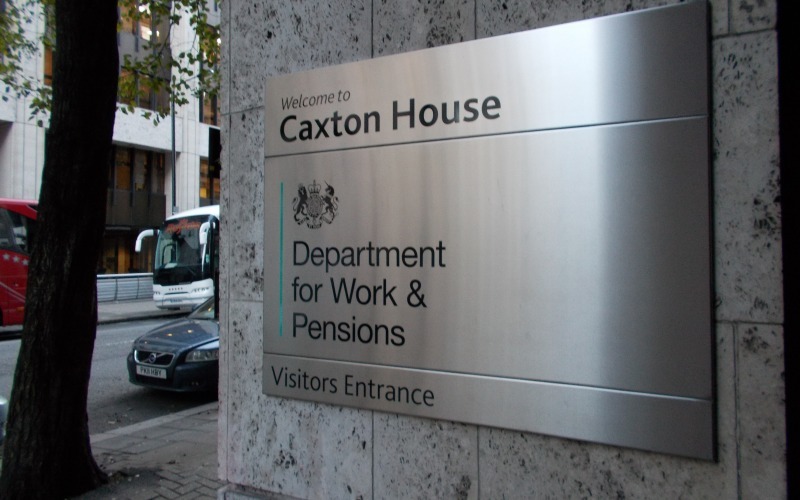 The discredited government contractor Maximus had reported him to DWP for failing to attend appointments intended to move him towards work, as part of the Work Programme, despite being told about his severe ill-health. Despite his deteriorating health – he had alcoholism, a serious heart condition and diabetes – he had been placed in the work-related activity group (WRAG) of employment and support allowance (ESA), designed for those found “fit” enough to carry out some work-related activity, but not yet well enough for a job. McArdle had attended the first couple of Work Programme appointments in the Maximus offices with the support of a local charity, but his health and mobility had continued to deteriorate. After a fall, he had to be admitted to hospital, and asked a manager at the charity to explain to Maximus why he had not been in touch. He had just come out of hospital when the letter from DWP arrived on 29 August last year. McArdle was with a carer, who read the letter to him. It is believed the letter stated that he needed to provide evidence to DWP to prevent his benefits being sanctioned. When it was read to him, he apparently went “a deathly grey colour”, complained about pains, and collapsed. Within an hour, he was dead. McArdle’s death was first reported by Disability News Service (DNS) last November. But despite the apparent role of both Maximus and DWP in his death, a senior coroner has decided that it is not necessary to hold an inquest. A spokeswoman for Peter Bedford, the senior coroner for Berkshire, told DNS this week that he was satisfied that McArdle’s death was due to natural causes “and therefore an inquest would not be deemed necessary”. The spokeswoman said Bedford had stated that because McArdle had “quite severe heart disease” it would be “impossible to prove” any direct causal link between his death and the actions of Maximus and DWP. But Dr Stephen Carty, medical adviser to the grassroots campaign group Black Triangle, who works as a GP in Leith, on the edge of Edinburgh, said the coroner’s decision was “completely unacceptable” and “a matter of grave concern”. He said: “We completely refute the coroner’s opinion that it would be impossible to prove any direct causal link. He said there had been many studies “of a very high standard” in peer-reviewed journals, which had produced a consensus that “between 20 and 40 per cent of sudden cardiac deaths are precipitated by acute emotional stressors”. He added: “The decision made by the Department for Work and Pensions to threaten Mr McArdle with a benefit sanction when they were fully aware of his severe heart disease is appalling. “Subjecting patients such as Mr McArdle to extreme emotional distress such as this presents a substantial risk, one which in our opinion led to a sudden cardiac death. Professor Peter Beresford, co-chair of the national user-led network Shaping Our Lives, said: “Causation is one of the most difficult things to prove scientifically. Linda Burnip, co-founder of Disabled People Against Cuts, said: “This is yet another example of the life-threatening nature of some people’s impairments being totally disregarded by Maximus who literally, regardless of what the coroner has said, hounded Alan McArdle to death. He said the coroner’s decision showed that lessons were not being learned “because no-one is ever brought to account”. Disabled activist Rick Burgess said the case highlighted the difficulty of holding DWP to account over such deaths. He pointed to an interview in the Guardian with the soon-to-retire chief coroner Peter Thornton, who said there were about 530,000 deaths reported by doctors last year, but only about 45 per cent were reported to coroners, in what was a “slightly chaotic” system. Burgess said: “To expect the coroner system to provide [the connection between actions and consequences]simply denies the reality of a ‘chaotic’ system that is not designed or currently tasked to provide that feedback, quite apart from questions of willingness of coroners to stand up to an abusive government. WOWpetition campaigner Michelle Maher pointed to deaths that continued to be caused by the hardship and stress associated with sanctions and failed ESA and personal independence payment assessments. She warned that this gave DWP and Maximus “carte blanche to continue ignoring their part in [Alan McArdle’s] death”. Pat Onions, co-founder of Pat’s Petition, said: “So many sick and disabled people will know that feeling of dread when the brown envelope from the DWP arrives. DNS asked DWP and Maximus if they had any further information about the circumstances surrounding Alan McArdle’s death, but neither had responded by 11am today (Thursday). Last year, DWP claimed that it was “misleading to link a death to someone’s benefit claim”, and added: “We write to all claimants who have not engaged with our support, asking them to get in touch and explain why. Maximus said last year that participation in the Work Programme was “mandatory for people in the WRAG who are in receipt of ESA” and that it made “strenuous efforts to inform participants about their obligations and contact them if they fail to show up for arranged meetings”.